If there is a writer in your life, you have my sympathy. I wanted to get that out of the way first thing. I feel sorry for MG having to put up with me, with late or no dinners, with unfolded laundry, with me staying up all night writing when I’m on a roll, and with coming home at day’s end to find me writing in my pajamas. Hair not combed. Teeth not brushed. Ugh. Writers are eccentric. That’s the polite way of saying writers are nuts. We freely admit it because we cannot deny the obvious. We see the world differently than the rest of humanity, and our curiosity is endless. Everything is fodder for our stories, so don’t ever tell us your secrets. Be very careful what you say if one of us is within earshot. 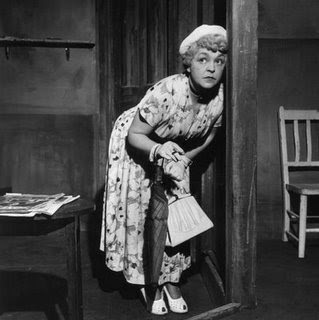 We are not above eavesdropping. 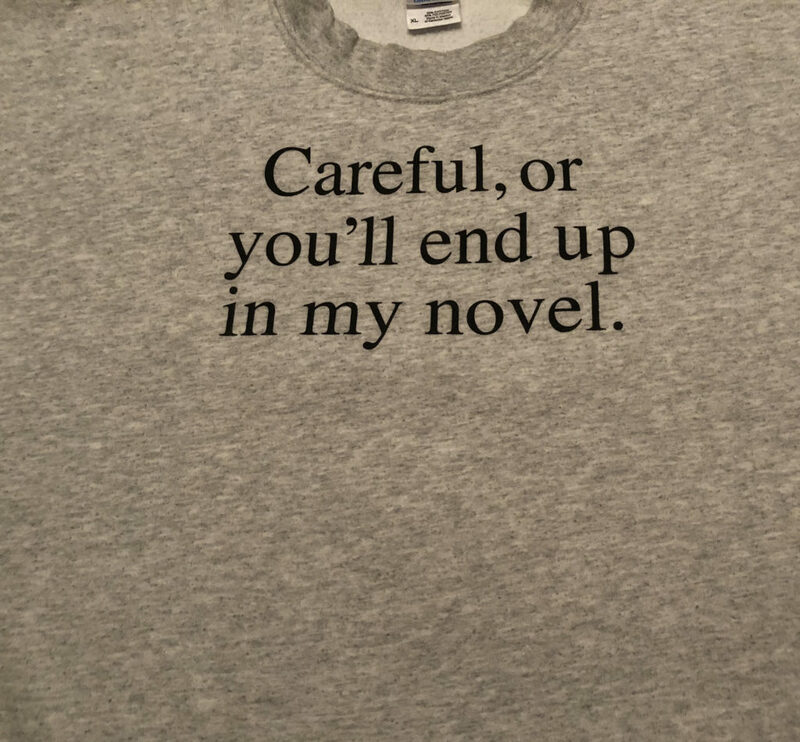 We even have shirts we wear to warn you about us. I’ve lost count of how many times I agreed to do something I had no interest in doing. I wasn’t paying attention to what my [husband, friend, neighbor—fill in the blank] was saying because my mind was on the manuscript I was writing. While I was in a world of my own making, the rest of me was on autopilot responding with “Uh-Huh” every so often, giving the appearance that I was all there and agreeing to whatever. For that inexcusable behavior, I deserved to suffer—and I did. It gets worse. My mind also wanders to my work in progress during Sunday mass. I thought I was the only romance-writing reprobate who was going straight to hell when leaving this world. Thankfully, I was mistaken. I won’t be alone. A dear friend who shall remain nameless, and author Jennifer Probst (who confessed to the same sinful behavior in her book Write Naked), will join me in eternal damnation. Hell will never be the same. Finally, for when I actually do listen to what you’re saying, I apologize for silently correcting your grammar and pronunciation.Yes, writers do that. We can’t help ourselves. 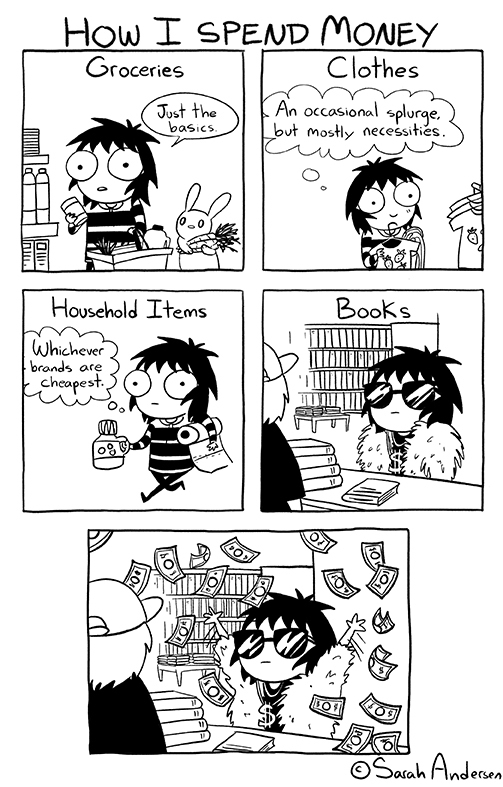 Despite all of the above, we fervently hope you have a forgiving nature and will continue to buy our books. Please?